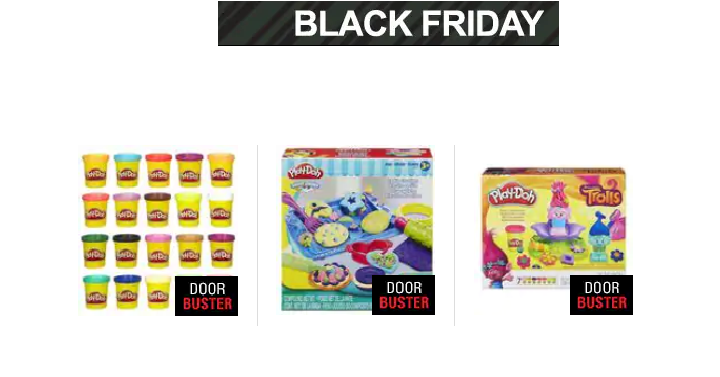 Shopko Doorbuster Deal: Play-doh Sets Only $7.99 Each! (Reg. $16.99) Black Friday Price! Today only and while supplies last, Shopko has Play-doh sets for only $7.99 each! (Reg. $16.99) This is an early black friday deal. If you have little kids, this would be a great stocking stuffer. Or, get those play sets as a gift, the price is awesome. Plus, choose in-store pickup to save on shipping. Or, shipping is FREE when you spend $99 or more with coupon code SHIP99 at checkout.